Paper Makeup Stamps: Release in Review, day 3 and a WINNER! Well it's a dandy day! A dandy day for a review of Dandy Wishes! Dandy Wishes was illustrated by Lindsay Spencer. It comes with a total of 9 images! 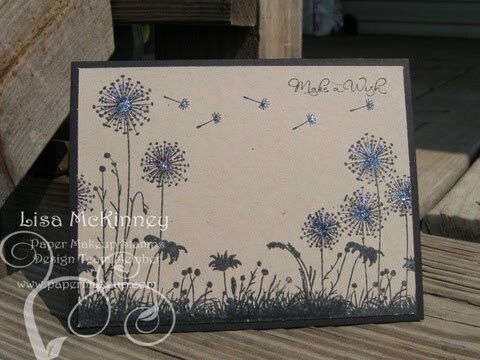 This set has everything you are wanting in a dandelion set! Just check out these awesome creations from the Paper Makeup Artists! First there is the largest stamp, filling an entire card front OR perfect for a scrapbook layout, altered item and just about anything else you can image! You'll notice above that Lisa has made her sillhouette even longer by adding a more condensed version of the image (perfect to add on to the scene, or in the scene, or by itself, making many many options!) 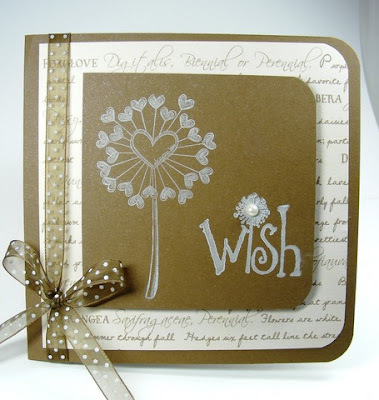 You'll also notice that both of the Lisa's used the sentiment Make a Wish which is included in the set. You'll see here i stamped the condensed silhouette on a separate piece of cardstock, but then added it into the scene. Again... lots of options! I have paired the set with a sentiment released previously from PMS which you can find here. 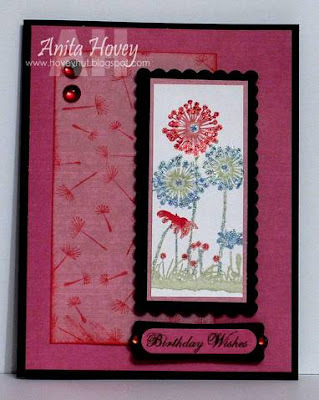 Below, Anita has taken the condensed silhouette away from the larger silhouette, showings it's use as a solo stamp! 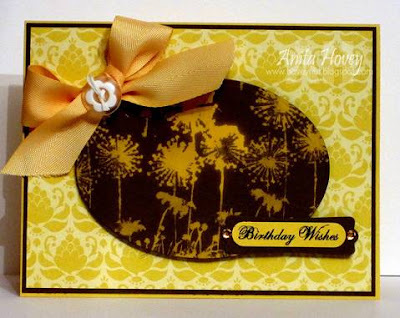 She has also used a previously released stamp, but as a digi was able to shrink it to the perfect size for her card. You can find both the rubber and digi version of this sentiment, here. But wait... there's more! As you can see in the above image, the cutie designer paper Anita has on her card. Well she STAMPED that! Using 2 smaller stamps in the set that are separate seedlings! They also match another large stamp that you can see below. And then last but not least... 3 more stamps to show you! 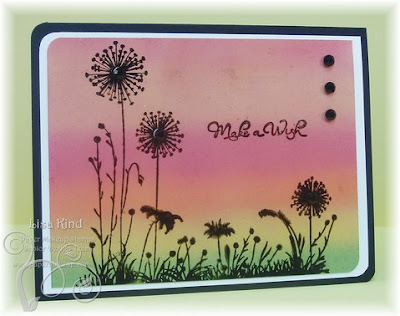 Below is the larger of the heart dandelions! It has a super cute heart in the center with the small phrase, dream big! Also on the card, it the other sentiment included with the set. 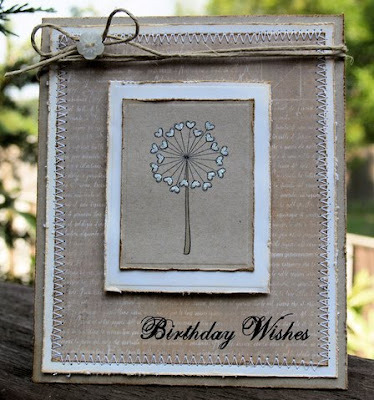 The word wish with a dandy in it! Precious! 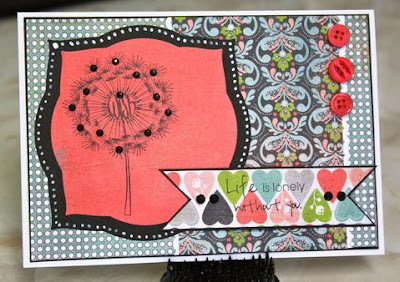 And then there is a smaller heart dandy, no heart in the center, but still a great size for a card! Here stephanie has used the before mentioned Birthday Wishes sentiment, but the rubber version so you can see the stamp size. Thats all for today's release! But one more thing... we need to announce the winner of the secret gift certificate hidden during the blog hop! Congrats ashley, please email me at Katie@PaperMakeup . Com!!! Congrats Ashley! I was AT the party and I don't get the joke LOL...must have missed it. Fabulous cards ladies! Truly a versatile set. WOOHOO! I LOVE YOU KATIE! I don't mind shopping on with some gift certificates, I don't really as guilty. Though, how that helps me use my stash, I'll never know! ;) Thanks so much!!!!!! !